George Clooney seems to have it all. With a successful acting career that is moving into its fourth decade, a highly decorated directing career, a number of successful writing and producing credits to his name, and good looks that seem to be getting better with age, it would seem that Mr. Clooney has the touch of Midas. Though he did not win the Oscar for Best Actor for his beautiful performance in "The Descendants" at the 2012 Oscars, he has won enough other accolades, including a Best Supporting Actor nod for "Syriana", that he can certainly go home and comfort himself with one of his other statuettes. In addition to being a critically and commercially successful performer, he has also earned a reputation as one of Hollywood's kindest and classiest members. His brand of charm is especially apparent in the generosity and openness with which he shares his multiple homes around the world. His villa in Italy, called Villa Oleander, has become something of a legend in Hollywood circles, as he often shares it with friends during special occasions. Fellow Oscar nominee, Viola Davis, who worked with Clooney on both "Syriana" and "Solaris", honeymooned there. He opened the Villa to actors John Krasinksi and Emily Blunt for their marriage ceremony and celebration in 2010. He vacations there frequently enough, that the town of 900 in which his Villa is located, has been forced to institute a rule whereby any group larger than three caught standing, gawking, or snapping photos is fined. 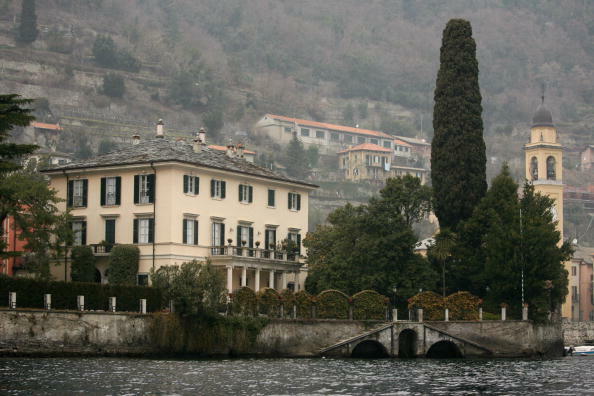 Villa Oleander, which was constructed in the 18th Century, is located in Laglio, Italy, on the shores of Lake Como and houses 15 bedrooms. A private swimming pool, a tennis court, a full gym, landscaped gardens, ornately carved ceilings, massive bathrooms, a separate "pizza room", and a beautifully constructed wall that keeps the lake from pouring directly into the house, all add up to price tag of over $30 million dollars. With the amount of use the home has seen since his 2002 purchase of the property, he has certainly gotten his money's worth. Maybe a trip to Villa Oleander will be just the thing to chase away some post-Oscar blues. One day in September of 2013, George Clooney did a little paying it forward and gifted 14 of his most cherished friends with $1 million each, tax free.